I started going here a year ago or so and I love his dentist office! I’ve had a different lady work with me each visit and every single one is so nice and sweet and easy going. I’ve only had Dr. Preston work on me and he is very friendly, professional and does a great job! I don’t see myself going to any other office anytime soon! Definitely worth more than 5 stars! The entire staff does a great job! They know you by name right when you step in the door, and they do a great job making sure you are comfortable throughout the entire visit. My son, husband, and I all appreciate the care we receive at White Smiles! I took my 5-year old son in for a check up and cleaning, and it was a great experience. The hygienist was awesome with kids. She showed him all the cool tools and made sure he was comfortable before doing each procedure. Dr. Preston was positive, professional and personable. We will definitely be back! Welcome to White Smiles Family Dental, the dental practice of Springfield dentists Dr. Preston White and Dr. Shannon White. We look forward to welcoming you and your family to become a part of our dental family so you can receive the exceptional dental care you deserve. At White Smiles Family Dental, we combine honesty, comfort, and the latest technology to offer general and advanced dental services for your entire family. The personal relationships we are able to create with our patients are incredibly valuable to us, and we genuinely care about your dental health and overall well-being. We see patients of all ages, from children to seniors, at our Springfield dental practice, and we look forward to providing dental care to help your family maintain healthy smiles throughout their lifetimes. Your health and wellness are important to you—and they are important to us. We want to be part of your overall health care team by providing you with top-quality dental care. Patient education is a crucial part of our practice. We look forward to answering your questions about your oral health so you can make the best possible decisions about needed treatments. If it has been a while since your last visit to the dentist, we want to assure you that we are not here to criticize or make judgments. We will not dwell on the past. Our goal is simply to put you on the path for good oral health in the future. By using the latest in cutting-edge dental technology, we can gather more accurate information about your oral health. This enables us to make more precise diagnoses while offering you more comfortable treatment. Our office is conveniently located one block south of the mall on Fremont and Erie streets. We proudly serve Springfield, Nixa, Ozark, Willard, Marshfield, Strafford, Rogersville, Republic, and the surrounding communities. We accept almost all insurances and will file the claims for you. We are Delta Premier providers. In addition, we accept cash, credit and debit cards, personal checks, and CareCredit patient financing to help make dental expenses manageable. Give us a call to make an appointment for yourself and your family members. We look forward to providing you with the high level of dental care we would want for our own families! We offer the services your family needs, from the youngest member to the oldest. 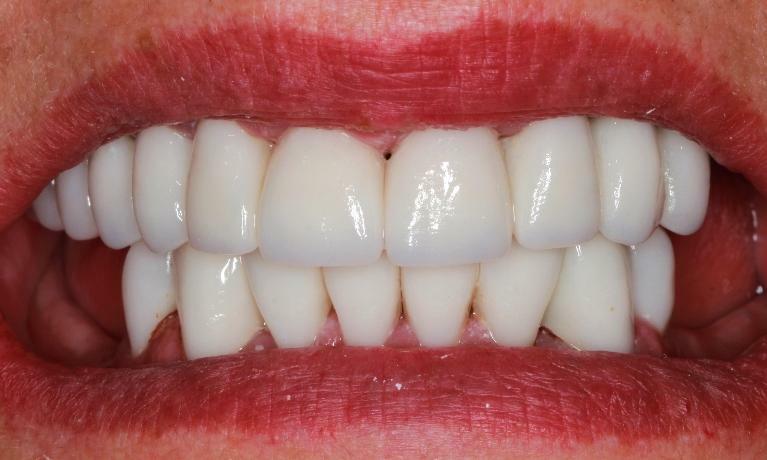 Come to White Smiles Family Dental for all of your preventive, cosmetic, and restorative dentistry needs. We look forward to meeting you!